So I just realized I haven't posted my workouts on here for almost a month. #whoops Not that anyone cares, but it helps keep me accountable so here we go. In other news, since Girls ended two weeks ago, naturally I needed to pick up a four-season, 84-episode saga to replace it. At the urging of a co-worker who claims Felicity and Roswell as her two favorite shows, as well as a fellow blogger friend, I finally bit the bullet last week. And I am loving it. It makes me want to (a) go back to college, (b) move to NYC, (c) be even more of a nerd in college and (d) visit a Dean & Deluca. I am trying to progress through the episodes slowly since I know I'll be very, very sad when it's over. So far I'm doing pretty good at not flying through it like I did with Dexter, True Blood, Nip/Tuck, etc. 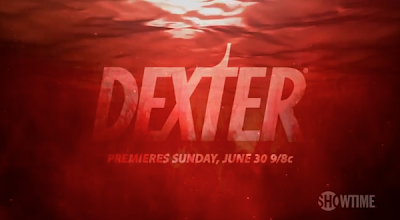 Speaking of Dexter, 6/30 can't come soon enough! Gahhh I love that show. What is your favorite TV show of all time? Once I'm done with Felicity I'll need something else to watch! Mine is Friends, and I've seen every episode more times than I care to admit. Friends trivia is one of my favorite pastimes. AHHHH!!!!!!!! FELICITY IS LIFE. I miss her. One cautionary suggestion: do not spend the first 48 hours post-Felicity series finale googling Keri Russell. It just makes it worse.